Order the book using Paypal below - it is very safe to use Paypal. Only $9.95 with FREE Shipping! Please, download these 4 Ebooks for FREE! 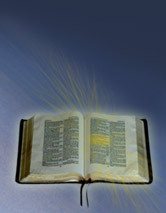 Add an Online Bible to your Website, It's Easy! Please show your support of this website by making a donation. Thank you! "If any of you lack wisdom, let him ask of God, that giveth to all [men] liberally, and upbraideth not; and it shall be given him."